Precision machined from hardened steel with a patented design, our quick-change Orange Ball Couplers™ unlock unseen productivity and potential in most machine shops. Couplers thread into the underside of a fixture plate or Orange Vise™, just like the pull studs of a zero-point system, simplifying preparation by only requiring one-side machining. Couplers and receivers were previously used for both locating and hold down. They are now only used for rough locating and hold down, as the receiver bores have been increased in diameter for a looser fit. Fine locating is achieved through dowel pins. This change is the result of customer feedback and extensive testing over the years. This revised method provides better repeatability, much better squareness, and simplified preparation of the subplate or tombstone. There is also reduced binding of the couplers during installation and removal of vises and fixtures. The revision is backwards-compatible. 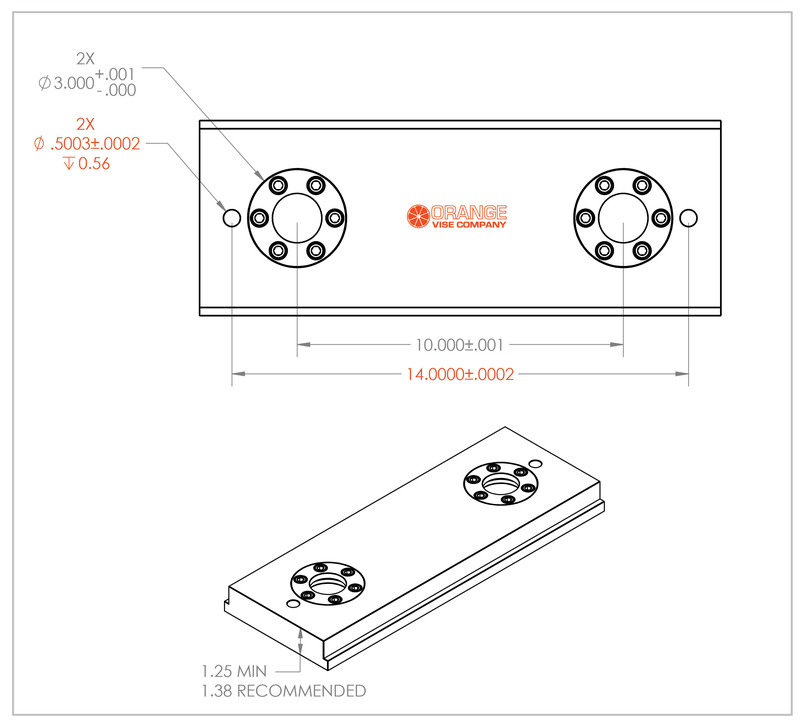 3rd and 4th generation vises have come standard with dowel pin bores, so no modification is necessary. 4th Generation Orange Ball Couplers and Receivers are used for rough positioning and hold-down only. 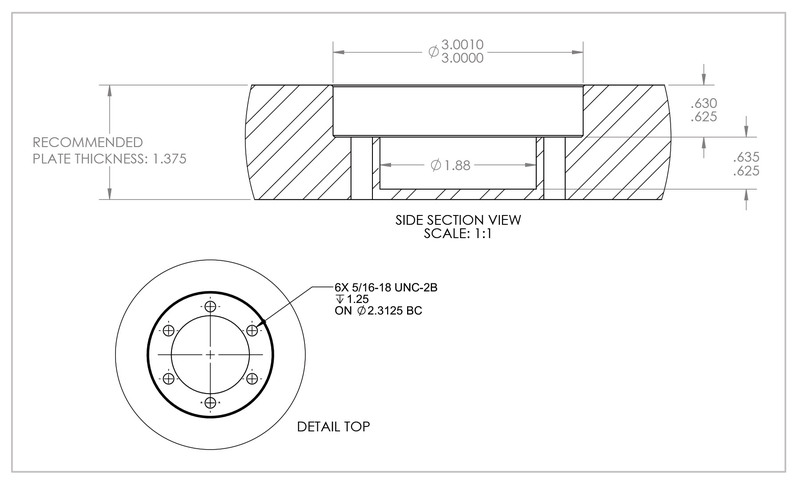 Fine positioning relies on dowel pin bores at 0.5003" diameter, spaced at 14.0000" on center. General applications utilize Orange Vise 0.4993" diameter dowel pins. Four pins are included with every vise and are also available separately. Warning: forcing a dowel pin into a precision bore may result in a permanent installation. Orange Vise 0.4993" diameter dowel pins are ground undersized to provide adequate clearance for a precision slip fit with +/-0.0005" repeatability. Using larger dowel pins can improve repeatability but is done at your own risk! 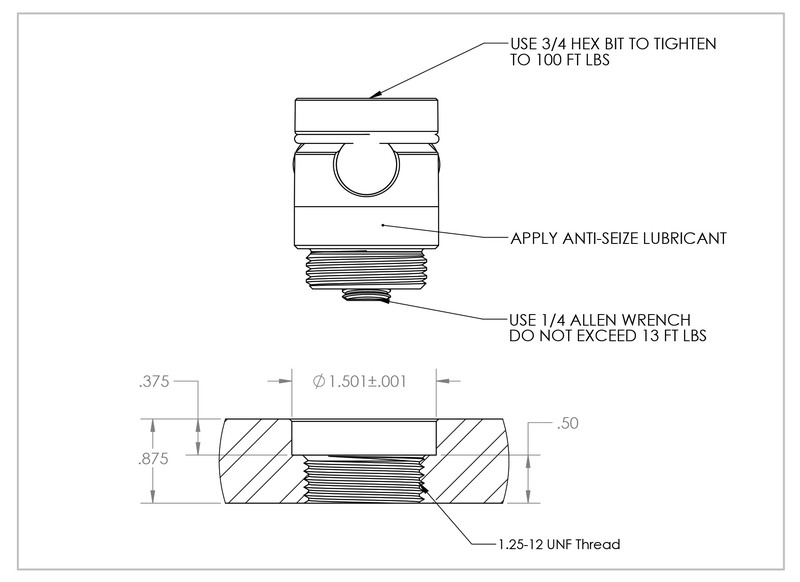 Tip: The 0.5003" bore diameter matches that of a standard, off-the-shelf drill bushing.